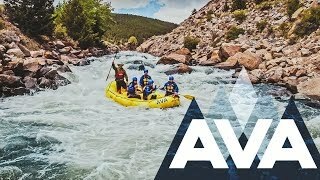 AVA offers exciting zipline trips at two locations: Idaho Springs, just 30 minutes from Denver, and Granite, located in the Arkansas River Valley just north of Buena Vista. 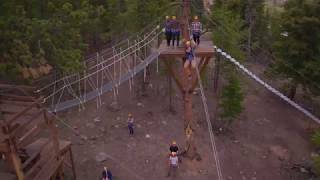 Our zipline courses are some of the most unique in Colorado, with the platforms built into the natural landscape rather than on top of towers, and enhanced by various features such as the 50 foot free fall, a Surf Zip, a Race Zip, Via Ferratas, a variety of bridges, and much more! 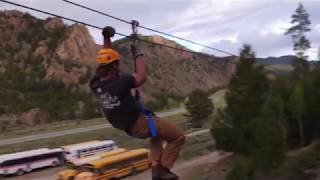 Zip lining in Colorado is a one-of-a-kind adventure, and ziplining with AVA takes the experience to another level. All of our tours are guided excursions in which your guide will help you navigate the course while also providing local history, fun facts, and more. 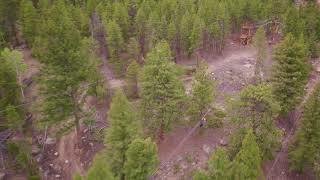 Our courses are built into the mountainsides, cliff faces and treetops, allowing you to experience Colorado’s Rocky Mountains up close in addition to the thrill of flying through the air. Each course has multiple ziplines in addition to a variety of other features and obstacles to add to the thrills. Combine with a Clear Creek rafting trip! Almost 4,000 feet of high-flying, heart-pumping fun! You’ll hike about 10 minutes to the start of your course. 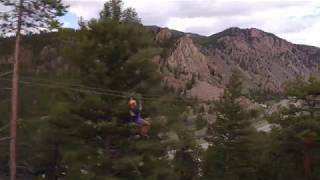 Want to add even more heart-pounding action to your Colorado zipline tour? Our Via Ferrata allows you to traverse the cliffs, rappel, rock climb, and zipline all in a single, unique excursion. Test your limits as you cross hanging bridges, navigate iron rungs embedded in the rock, and take a leap of faith with our 50 foot free fall. While the Via Ferrata is more strenuous than our classic zipline tours, we think you’ll find the experience is worth the effort.